PromotionsCatalogue.com is home to Ireland's largest range of printed promotional pens and gifts. With over 25 years experience of printing in Ireland, you can be assured of a quality reproduction of you brand at all times. We carry an extensive range of promotional writing instruments, advertising gift novelties for the Corporate Gift Sector. Contact your local corporate gift supplier to place an order today. Our gallery contains images of all our products. Choose from with or without a logo on them. 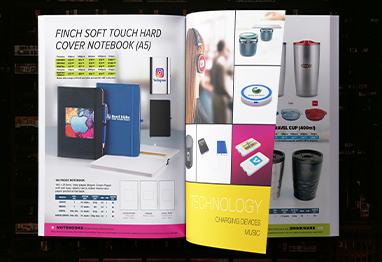 Download our catalogue for offline viewing. Choose from our full catalogue or one of our mini catalogues. Prepare artwork on your selected product template. See print areas and scale drawings.